The Council of Michigan Foundations is the nation’s largest regional association of grantmakers, representing 350 foundations and other grantmaking organizations in the state. Foundations are playing an increasingly prominent role in Michigan as state and local government budgets that support for communities, the arts, recreation and other services have become strained. Council President and CEO Rob Collier spoke with Bridge correspondent Rick Haglund about some of the latest philanthropic initiatives, including education, work force development and rural economies. Bridge: Philanthropy struggled with the rest of the economy in the Great Recession. How is its recovery going? Collier: Philanthropic organizations, particularly the endowment funds, got hit. The average loss in their portfolios was 28 percent during the recession. The good news is that we can say in 2013 that most of the losses have been recovered. We’re beginning to see foundations getting back to 2007 levels. Bridge: How did the elimination of Michigan’s tax credits for charitable contributions affect philanthropy? Collier: Three charitable giving credits for community foundations, public institutions, and food banks and homeless shelters were eliminated in 2011. We did see a reduction in giving to community foundations that depend on contributions from individual donors. A lot of people are writing smaller checks because the state is no longer providing a tax credit. People don’t give for tax reasons, but how much they give is influenced by tax policy. There also is an effort in Washington to eliminate the federal charitable tax deduction. Michigan is in an unusual position here. We have three important policy makers from Michigan involved in tax policy—Dave Camp and Sandy Levin in the House and Debbie Stabenow in the Senate. We’re working with them to preserve this deduction. One of 10 Michiganians works for a charitable, nonprofit organization. The last thing we need is to have the federal charitable tax deduction eliminated or diminished in any way. Part of the problem is that a lot of people say the nonprofit sector needs to sacrifice. But we’ve already sacrificed. The budget cuts in the sequester already have taken a huge piece out of the nonprofit sector. The second-largest revenue source for nonprofits comes from the federal government. It provides almost a third of nonprofit revenues. Nonprofits can delivers services more effectively than government can do it on its own. They can’t replace government, but they can be partners with government in providing needed services to people. Bridge: What is the annual dollar volume of grants made by Michigan-based foundations and how much of that stays in Michigan? Collier: The dollar volume of giving by Michigan foundations is ranging this year from between $1.3 billion and $1.6 billion. Roughly $1 billion of that stays in Michigan. Bridge: You just wrapped up your 41st annual conference. What were a couple of takeaways from that? The first was education. Education is one of the largest recipients of the philanthropic dollar. I think we recognized there’s a sense of urgency to do a better job and be more impactful in grant making. We need to leverage more public dollars to help teachers and kids in the learning process. Second, public-private partnerships are absolutely vital to Michigan. One of the most significant accomplishments this year was the appropriation of an additional $65 million in the state budget to fund more slots in the Great Start Readiness Program for early childhood education. It was a team effort and a great example of a public-private partnership between the state and the philanthropic community. The third takeaway is that we need to make sure that philanthropic organizations continue to promote a climate of giving, whether it’s millennials doing it through social media and crowdsourcing, or baby boomers like me writing checks. 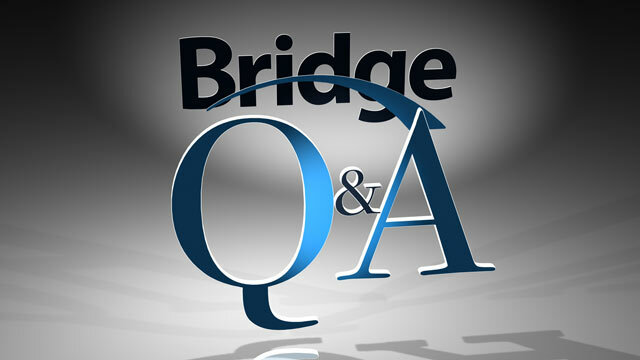 Bridge: Is the number of foundations in Michigan growing? Collier: There continues to be growth in the number of foundations. People are still creating family foundations, but what they’re doing more of now is setting up donor-advised community foundations. It’s an easier process than going through the IRS to set up a family foundation. You can wait for months to get approval to become a nonprofit. Donor-advised funds can be set up in 48 hours. We’re seeing more and more donors who can accomplish what they want by creating donor-advised funds. It’s much easier for families to go this route. Bridge: What are some emerging trends in philanthropy? Collier: Clearly there’s the question of the role of social media in charitable giving and the issue of the intergenerational transfer of wealth. One of the big issues everyone is thinking about is jobs. It’s not only what we can do to stimulate job creation, but how do we make sure people get the help they need to become employable? We’ve been meeting with the state Workforce Development Agency to talk about that. Local officials in Detroit, Grand Rapids and other cities around the state have long been working with philanthropic partners to provide matching dollars and leverage resources needed to develop local work forces. Another thing is the whole issue of college access. Foundations are working with college access networks, which work to make college accessible and improve college graduation rates. For a student to succeed in any type of advanced education, it’s going to require more than scholarship support. You need a network of support services to make sure that young student succeeds. The chance that the student will graduate greatly increases with such support. Bridge: One of the sessions in your annual conference was on rural foundations. What was that about? Collier: We’ve seen a great model in the Community Foundation of the Upper Peninsula, which provides backroom services to smaller foundations to maximize the impact of the philanthropic dollar. Foundations are coming together to see what they can do to be helpful in addressing rural issues. One of the big problems in rural Michigan is access to services such as education, health care and child care. We’ve seen foundations becoming much more interested in supporting regional initiatives. How can we promote regional strategies to bring counties together and provide services more efficiently? What rural foundations are realizing is that they need to maximize philanthropic capital through regionalism and by leveraging community connections and leadership. Mr. collier is quoted as saying "Three charitable giving credits for community foundations, public institutions, and food banks and homeless shelters were eliminated in 2011. We did see a reduction in giving to community foundations that depend on contributions from individual donors." Just what were those credits? The article goes on to say, "(A study by the Johnson Center at Grand Valley State University found that the loss of the community foundation tax credit cut donations to community foundations by more than $1.15 million last year.)" What percentage cut was that $1.15 million? The entire article is about inputs. Does anybody make an effort to measure outputs? Does the foundation community have any idea of how effective they are, or the relative effectiveness of projects? It's all very nice to promote sharing and giving, and certainly it's a decent thing to do, but we need more than feel good pieces.